Over 2000 years ago, the ancient region of Gandhara (in today’s Pakistan and Afghanistan) was a cultural crossroad where East meets West. In 327 B.C, Alexander the Great conquered this region, leaving a lasting legacy. 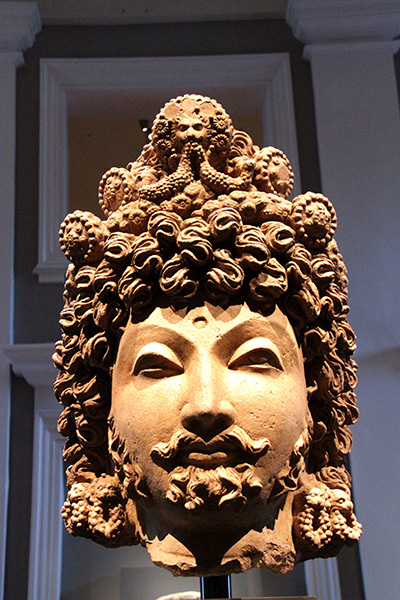 Art from Gandhara has a unique cross-cultural style – a fusion of Greco Roman, Indian and Persian influences. It was here that one of the first human images of the Buddha emerged. Let’s discover Gandhara through the ACM’s rare silver Roman wine cup, an elegant monumental Bodhisattva head and much more.